One of my all time favorite songs is an only slightly lesser known Indigo Girls masterpiece called “Ghost”. I have been hoping for the perfect Sunday theme and this one is dang close. I use this song often in my practice when someone is trying to “get over” someone else. And I have used it myself. I tell you what, if you are that person who can use the act of singing along (loudly and probably in private) to help move through an “ending”, this may be your new song. Play it at full volume until you know the lyrics! Their use of crescendo alone is enough to energize yourself!! no idea why this is all underlined and highlighted!! What, by some, would be called the “R” rated version but so powerful. There is nothing “R” about it unless you count REAL. This one is “G” in case you prefer. But it’s the lyrics that are the point anyway…. 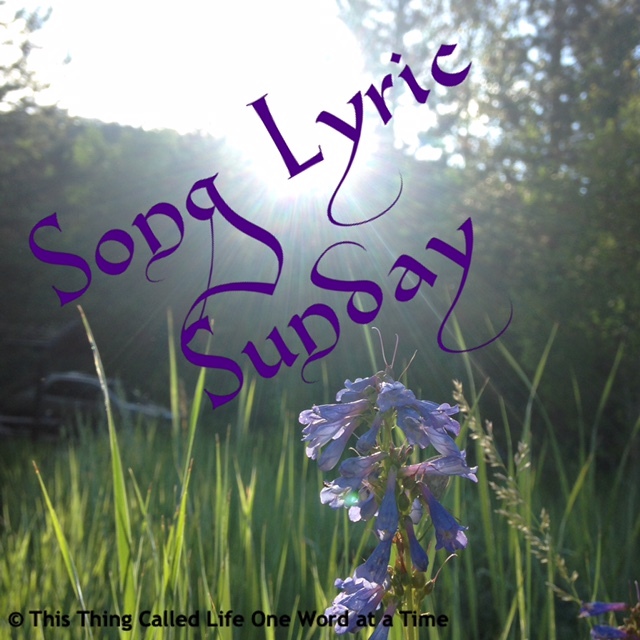 This song was posted on my friend Karuna’s amazing blog. I loved it before and am so glad to be reminded of it. The song AND video are delightful, all the way to the end. For some people, I won’t say who (but they are around my age), it may take a whole run through to get hooked on it. Oh Helen, what a sensitive subject for me these days, as I am really feeling my age. I asked James what song he thought of when I said “getting old”. Immediately he said “When I’m 64” by the Beatles. A few years back that would have been my choice also but since that number is behind me, I think I’ll take the opposite approach now. Anyway, one of the main songs we played and sang was Forever Young…to address the idea that there was not enough “time”. So that is my song choice for this week’s theme. “Forever Young”, written by Bob Dylan. Joan and many other famous musicians who join her, put on a show that can change the way you look at aging. I found it so inspirational. The video is set up so you can click at the beginnings of each song (and each new performer that joins her), and skip ahead if you wish. Forever Young is the final song. Not the best quality but so worth watching. (Some night when there is nothing on TV if you must.) She is amazing and many of her guests are similar ages, so they are all models for aging with passion and beauty.